The marketplace: it’s competitive, and you need every advantage you can get. So whether you’re answering to shareholders as the CEO of a publicly-traded company or working with a smaller group of business partners, friends, and family, it’s your responsibility to find a competitive edge. As the cost of traditional energy continues to rise, a transition to solar power is more than just good for your brand – it’s good for your bottom line too. Sun Tribe has deep experience in the design, financing, and construction of leading industrial solar systems, and will work closely with you to ensure a rapid ROI that helps keep you ahead of your competitors. In the quickly expanding renewable space, it’s not hard to find companies interested in being your solar provider. But as a fully-integrated EPC partner capable of serving as a trusted advisor, Sun Tribe is uniquely positioned to ensure that your investment pays off. You’re not looking for a salesperson – you’re looking for a partner to advise you on the range of financial, tax, and technical benefits of powering your business with solar. Our process starts with a comprehensive consultation aimed at evaluating your needs and recommending the right path forward. In business, your biggest investment isn’t your buildings or your materials – it’s your people. At Sun Tribe, our team has been built on the foundation of expert engineers who know how to design the most efficient system for even the most complicated of customer needs. At this stage, we can calculate your potential savings and build the best system for you. Sun Tribe has a strong record of safe, sustainable construction projects delivered on-time and under budget. Our safety program is led by a Certified Safety Professional with over 250 MW of solar installation safety management experience. And our in-house team of NABCEP-certified and OSHA-trained solar professionals know how to get the job done. Sun Tribe is a fully bonded and insured contractor, and we’re ready to build you the best possible system. Offset of carbon footprint (in CO2) made possible by the Green Application's solar project. Program used by Green Applications to ensure $0 in upfront costs, guided by Sun Tribe’s financial and regulatory advising. 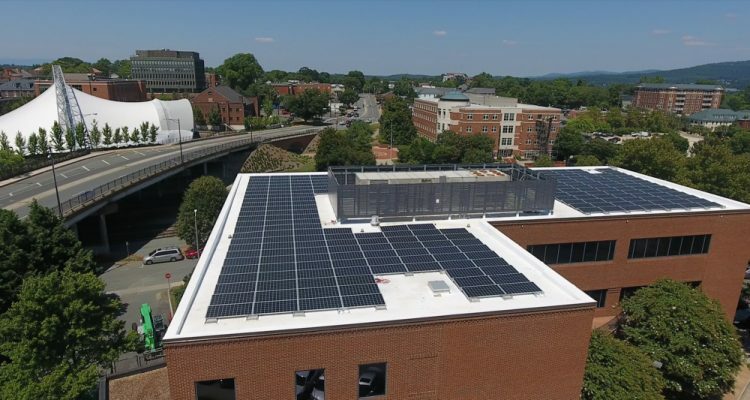 Number of new jobs created with Green Applications move to Orange County, VA with the goal of using renewable energy to power the facility. 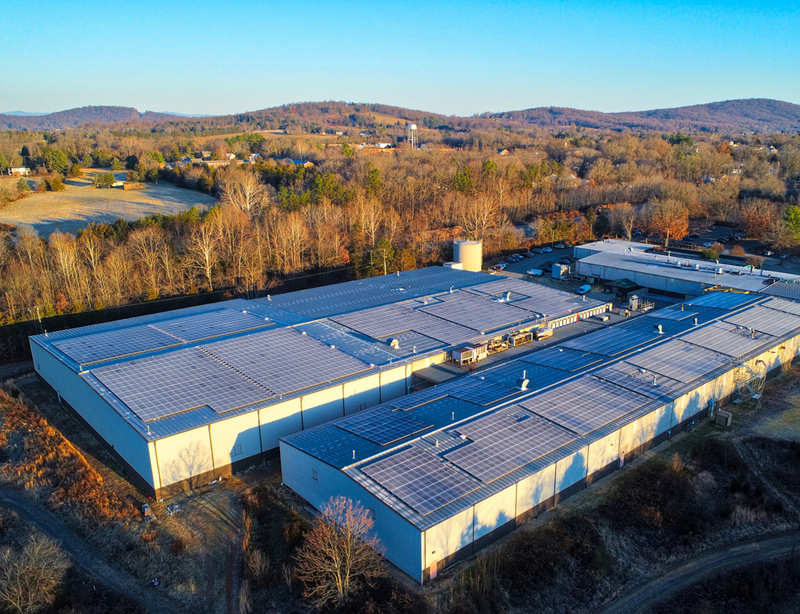 When Green Applications – one of the largest printers and distributors of textile merchandise and heat-applied graphics on the East Coast – was looking to move to a new facility in 2014, company leadership knew that renewable energy would be a critical part of the company’s future. 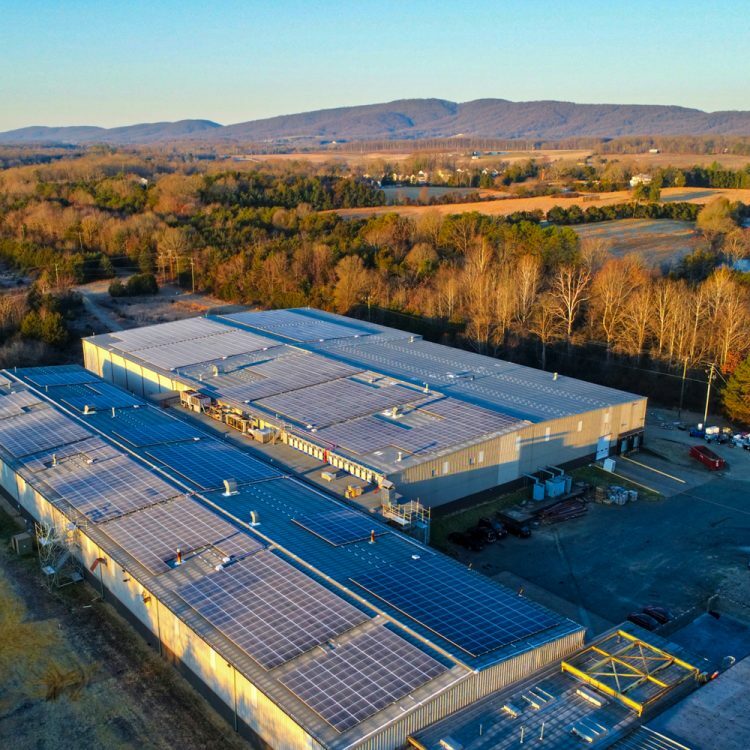 So they turned to Sun Tribe Solar to build a system that would save them money but also show that the company was ready to embrace the community’s desire for industrial neighbors guided by sustainability. To reduce the need for up-front capital, Sun Tribe guided Green Applications into the VirginiaSAVES™ program – securing investors interested in a Power Purchase Agreement (PPA) with the company. The result? Green Applications only pays for the energy it uses; an essential difference for the company’s bottom line. Today, this Sun Tribe system provides Green Applications with 50 percent of the power it needs to run this facility, making it the largest behind-the-meter PPA project since the program was introduced. Further proof that Sun Tribe is continually on the leading edge of solar innovations.